Yeah, the LA Lakers aren&apos;t dominating other teams like they usually do. But there&apos;s no doubt that Kobe Bryant is still one of the best in the league. Dude can still score 39 points with a torn ligament in his right wrist. To celebrate the Black Mamba, Nike released their almighty Kobe Destroyer Jacket. 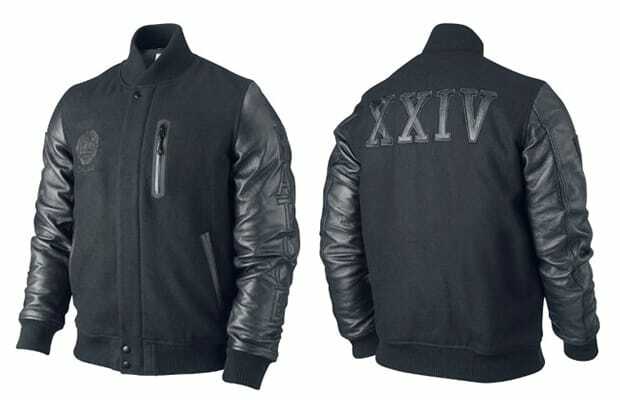 All black with leather sleeves, the varsity features signature embroidery, including 24 in roman numerals on the back and "Battle" on the sleeve. You can cop the jacket at Nikestore.com for $475.